Arbor Care provides professional, high-value tree and shrub care services, including pruning, removals, hazard inspection and Tree Health Care management. We can assist you in developing a plan to manage the health of each tree and shrub on your property. 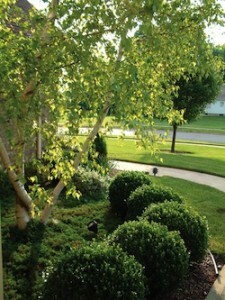 We specialize as a low-impact tree and shrub service company with safety as our top priority. Utilizing the latest technology to work safely aloft, most aerial work is accomplished by hand climbing or use of our spider lift. This means no heavy trucks on your lawn. The only evidence we leave behind is our quality work. We are proud members of the International Society of Arboriculture, SD Arborists Association, SD Nursery and Landscape Association, and TCIA. All of our Arborists are certified by the International Society of Arboriculture or are working toward that end.